No one likes the stress involved when your tax return is under the audit spotlight. Here are some ideas to avoid some of the more common audit triggers. Match the reports…even when they are wrong. When reviewing your tax return make it easy for the IRS programs to match what is being reported to them. If an amount is incorrect, try to get it changed. If not possible, report the incorrect amount (so it matches the IRS records) and then correct it with an explanation. Get your key information right. Social security numbers must be valid. Names must match social security numbers. Mis-matches here are sure to be noticed. Get your dependents right. You and an ex-spouse must consistently report your dependents. Both of you cannot claim a child as a dependent. 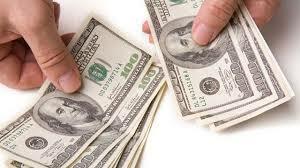 If an ex-spouse claims paying you alimony, it must match alimony income on your return. Understand the chances of audit. Each year the IRS reports audit rates by income level and type of tax return. While the overall audit rate is around 1%, it is much higher for high income tax returns and returns that have small business activity (Schedule C). Even if you believe you have done everything correctly, audits happen. Should it happen to you please do not hesitate to seek help. Lefstein-Suchoff CPA & Associates has almost twenty years of experience representing individuals and business in IRS audits and collections. WE MEET WITH THE IRS, SO YOU DON’T HAVE TO! We also help with IRS tax problems, back taxes, tax settlements, tax debt, Offer in Compromise, IRS debt, a tax lien, a state tax levy, an IRS levy, an IRS tax lien, contact us. For the best solutions to your indigenous needs, call us at: 201-947-8081 -or- 646-688-2807 or email us at info@irstaxproblems.com. 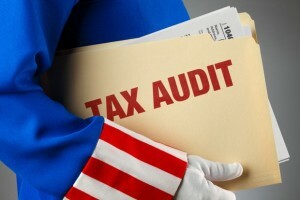 Please read our seven part blog series on IRS tax audits. 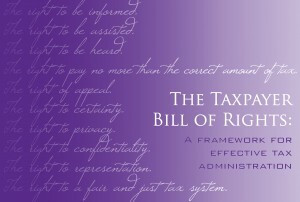 We have answered some of the most asked questions we receive regarding tax audits. Can you request the audit be conducted at the IRS office instead of at your place of business? If the audit has been scheduled to be conducted at your location, it will generally be conducted where the books and records are located. Requests to transfer the audit to another location, including an IRS office, will be considered but may not be granted. Treasury Regulation 301.7605-1(e), Time and place of audit, discusses the items considered when a request for a change in location is made. Can the audit be transferred to another IRS office? You can request a transfer of an audit if you have moved. Several factors will be considered such as your current location, the location of the business and where the books and records are maintained. If the audit is by correspondence, you can request a face-to-face audit because the books and records may be too voluminous to mail. Where will the audit be held? It depends on the type of audit being conducted. Audits by Mail/Correspondence Audit: Some audits are conducted entirely by mail. If the audit is conducted by mail, you will receive a letter from the IRS asking for additional information about certain items shown on the tax return such as income, expenses, and itemized deductions. 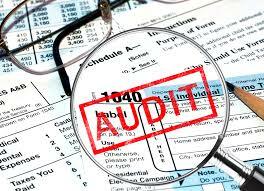 In-Person Audits are audits conducted either at a local IRS office or at your business location. Why was my return selected for audit? When returns are filed, they are compared against “norms” for similar returns. The “norms” are developed from audits of a statistically valid random sample of returns. These returns are selected as part of the National Research Program which the IRS conducts to update return selection information. The return is next reviewed by an experienced auditor. At this point, the return may be accepted as filed, or if based on the auditor’s experience questionable items are noted, the auditor will identify the items noted and the return is forwarded for assignment to an examining group. Upon assignment to a group, the return is reviewed by the manager. Items considered in assigning a case are: factors particular to the area such as issues pertaining to construction, farming, timber industry, etc. that have specific factors and rules that apply. Based on the review, the manager can accept the return or assign the return to an auditor. The assigned auditor again reviews the return for questionable items and either accepts it as filed or contacts the taxpayer to schedule an appointment. While the majority of tax-exempt organizations are in compliance with all of their obligations, those that do not often are significantly delinquent on payroll taxes. Tax-exempt organizations are, by their nature, not generally required to pay income taxes, they are required to pay other federal taxes such as payroll taxes. 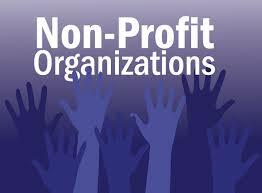 3.8% of tax-exempt organizations had nearly $875 million of Federal tax debt as of June 2012. While some organizations owed insignificant amounts, approximately 1,200 tax-exempt organizations owed more than $100,000 each associated with multiple tax periods. 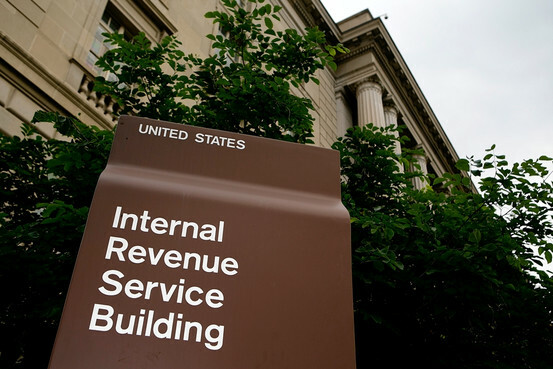 Does the IRS ever contact a taxpayer or the tax preparer via e-mail to initiate an audit? The IRS does not contact an individual via e-mail for an initial appointment. Contact related to being selected for an audit will be made via telephone or mail only, due to disclosure requirements. Does filing an amended return affect the return selection process? Filing an amended return does not affect the selection process of the original return. However, amended returns also go through a screening process and the amended return may be selected for audit. Lefstein-Suchoff CPA & Associates has almost twenty years of experience representing individuals and business in IRS audits and collections. 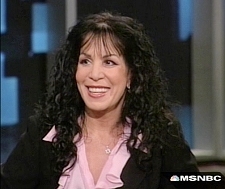 WE MEET WITH THE IRS, SO YOU DON’T HAVE TO! We also help with IRS tax problems, back taxes, tax settlements, tax debt, Offer in Compromise, IRS debt, a tax lien, a state tax levy, an IRS levy, an IRS tax lien, contact us. 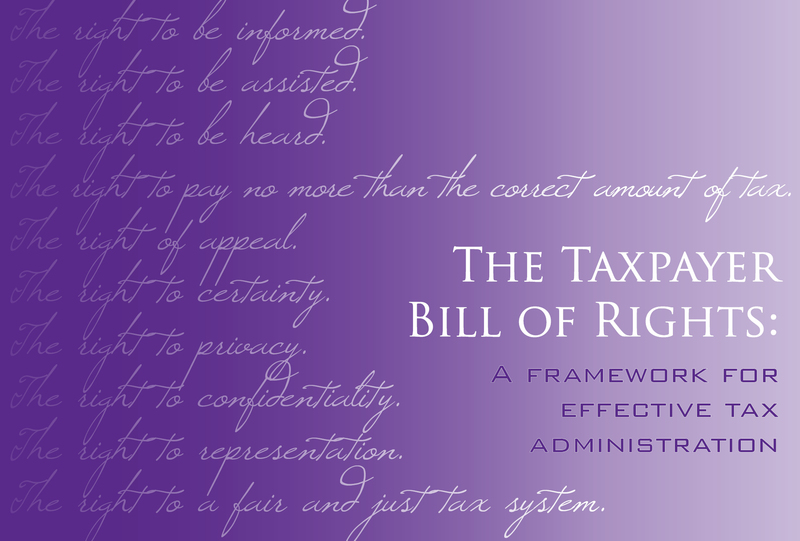 The IRS has just issued a “Taxpayer Bill of Rights” that you should be aware of. Lefstein-Suchoff CPA & Associates has almost twenty years of experience representing individuals and business in IRS audits and collections. WE MEET WITH THE IRS, SO YOU DON’T HAVE TO! We also help with IRS tax problems, back taxes, tax settlements, tax debt, Offer in Compromise, IRS debt, a tax lien, a state tax levy, an IRS levy, an IRS tax lien, contact us. Are Your Workers Classified Correctly? 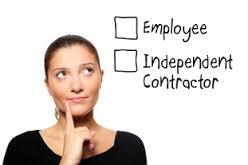 Don’t subject your business to tax penalties by miss-classifying an employee as an independent contractor. The IRS is aware that employers prefer to treat workers as independent contractors to avoid paying fringe benefits and payroll taxes. If you’re not absolutely sure how to treat a given worker, contact us. Audits are on the increase for labor by both the IRS & the States. Call us if you find yourself in a labor tax audit. For help with IRS, tax audits, tax problems, back taxes, tax settlements, tax debt, Offer in Compromise, tax help, IRS debt, a tax lien, a state tax levy, an IRS levy, an IRS tax lien, contact us. If you need IRS help and have unresolved cases with previous tax lawyers and tax attorneys, we can help find an optimal resolution for your indigenous needs. Contact us at 201-947-8081 or 646-688-2807, or email us at info@irstaxproblems.com. Posted in IRS Letters	| Tagged Business IRS Tax Areas to Watch, Business IRS Tax Audit, Business Tax Relief, IRS Problem Help	| Comments Off on Are Your Workers Classified Correctly? Owing back taxes to the IRS can not only be an individual and business problem, but a city problem as well. The City of Madison Wisconsin recently reached an agreement with the IRS to pay back $580,000 in taxes to the federal government for not reporting insurance benefits as income for city employees. Madison is also in negotiation with the state Department of Revenue to settle on back taxes owed, which could cost around $300,000. Do you owe back taxes? We can help. There are many worthwhile reasons to lend money to a relative. For example, you may want to help a child or sibling continue their education or start their own business. But lending money to relatives can have tax consequences. The IRS requires that a minimum rate of interest be charged on loans. If you do not charge at least the minimum rate, the IRS will still require you to pay tax on the difference between the interest you should have charged and what you actually charged. If these excess amounts become large, or if the loan is forgiven, there may also be gift tax implications. There are some exceptions, though. Loans of up to $10,000 generally can be made at a lower (or zero) rate of interest, as long as the proceeds aren‘t invested. Loans between $10,001 and $100,000 are exempt from the minimum interest requirement as well, as long as the borrower‘s investment income is $1,000 or less. If the investment income exceeds $1,000, you‘ll be taxed on the lesser of this income or the minimum IRS interest. For the IRS to treat the transaction as a loan and not a gift subject to the gift tax rules, the transaction must look like a loan. The borrower should have the ability to repay the principal and interest. A contract should be prepared which specifies the loan amount, interest rate, the payment dates and amounts, any security or collateral, as well as late fees and steps to be taken if the borrower doesn‘t pay. Have the document signed and dated by all the parties.